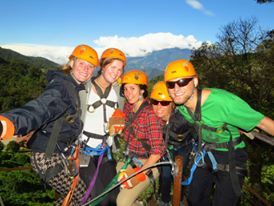 Ziplining is quickly becoming one of the fastest growing and most thrilling adventure activities! Safely clipped in a harness, you glide from platform to platform by way of free-moving pulleys suspended on cables high above the ground. This is a unique and exhilarating experience! 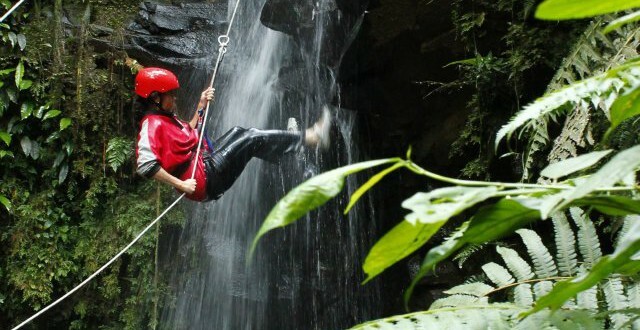 The Canyoning & Canopy tour will start at the first waterfall where a guide will give a speech on safety, ensuring you a safe and fun experience. 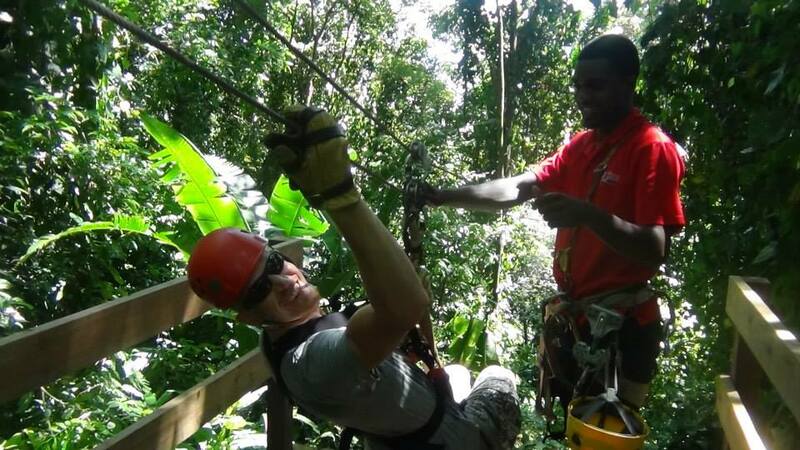 The 2 to 3 hour rappelling adventure down four waterfalls, zip lining down four canopy cables and walking across a 132 foot hanging bridge will give you an unforgettable adrenaline rush! 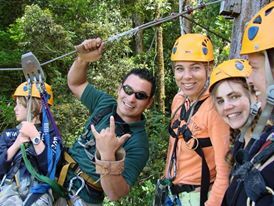 The Bastimentos Sky Zipline Canopy Tour is a tour for both nature lovers and those looking for the thrill of soaring through the air. From Bocas town you first have to take the water taxi and afterwards take an island truck ride to the top of the island. 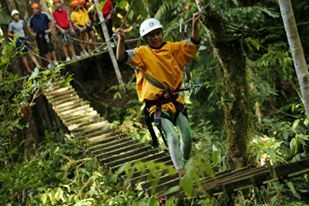 The tour is a combination of zip lines between platforms in the treetops, walking over a swaying sky bridge and vertical rapel. 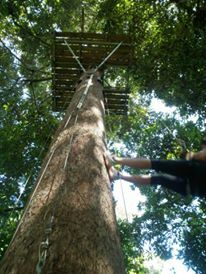 The Boquete Tree Trek is considered one of the top activities in Boquete. 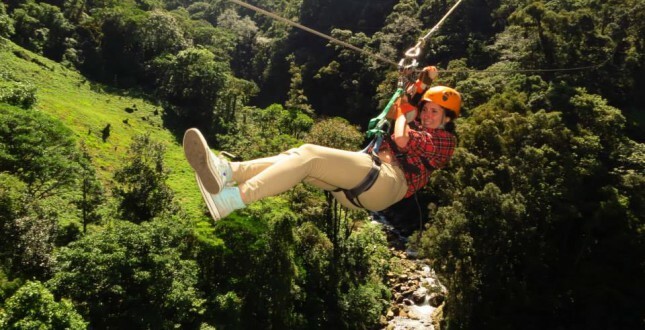 You'll be using a sturdy harness and travel in the rain forest tree trops, from one platform to the next and watch the beautiful scenery below. 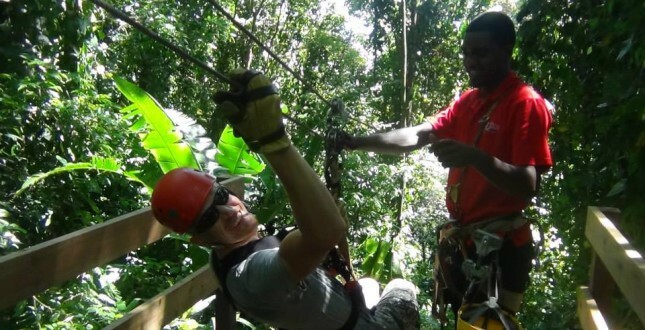 This breathtaking 1.5 mile journey takes thrill seekers to 14 different platforms while flying through the jungle canopy. Minimum age is 5 years and the duration is 4 hours.